Visit Tivoli, an ancient resort area famed for its beauty and its good water, enriched by many Roman villas, the most famous one, of which the ruins remain, is Villa Adriana. Take a comfortable transport to the little town of Tivoli located few kilometres far Rome, in a splendid natural environment between the Eternal city and the high hills to the east of Rome. The most remarkable architectural complex is Villa Adriana, dating from the Ancient Roman time, created in the 2nd Century A.D. by Emperor Hadrian. It combines different architectural styles from Egypt, Rome and Athens, in the shape of an “ideal city”. A visit to the Villa cannot be missed: is a masterpiece that uniquely brings together the highest symbols of cultures of the world in ancient times. Then you will discover the Renaissance-style Villa d’Este, a gorgeous palatial setting surrounded by a spectacular terraced garden. 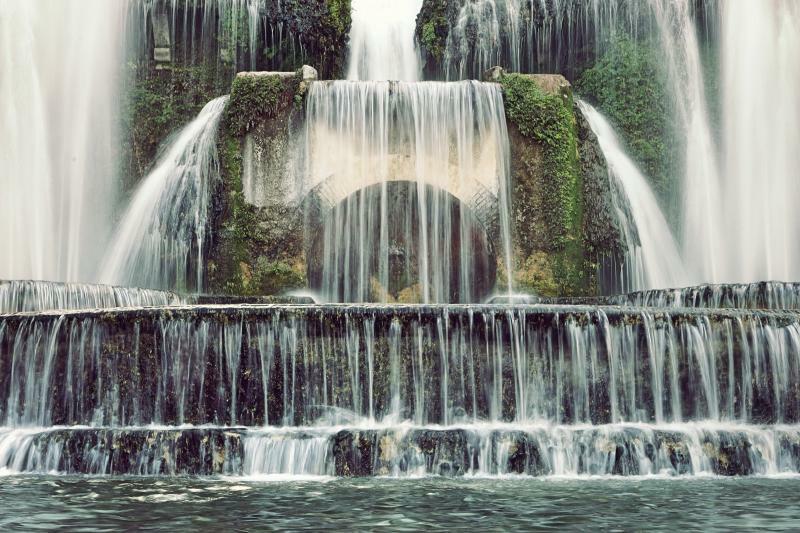 Enjoy the beauty of its cascades, water tanks, and fountains. Villa d’Este is a masterpiece of the Italian Gardens, decorated with a massive and impressive number of fountains nymphes, grottos and fountains, inspired by the gardens of Babylon, one of the wonders of ancient world. Return to Rome in the afternoon.